The platform has at least 2.05billion monthly active users and 1.53 billion daily active users, on average. 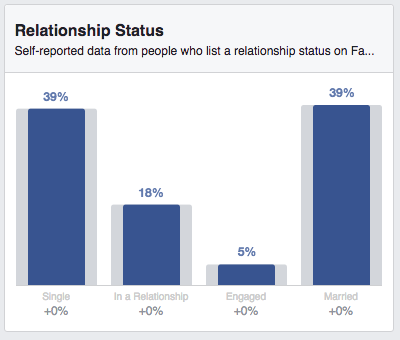 According to self-reported information on Facebook from people aged 18 and older, 44 percent of users identify as women, while 56 percent identify as men. 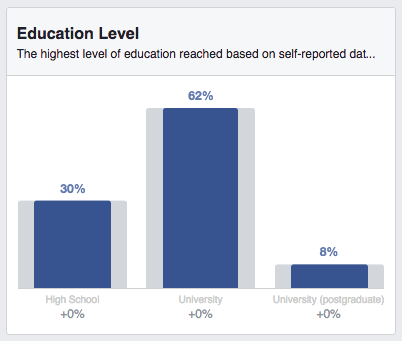 According to self-reported data, 62 percent of Facebook users have some form of university education, while 30 percent reported high school as being the highest level of education reached. 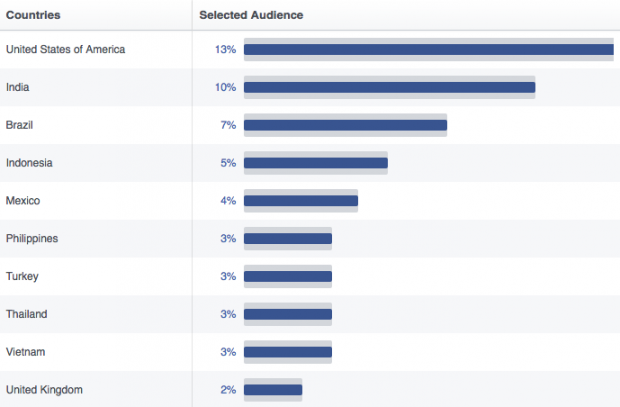 According to self-reported data, India, Brazil, and Indonesia have the largest audiences on Facebook behind the U.S.